One of the most significant changes to the way the military operates has been the integration of GPS for positioning, navigation, and timing purposes, which has given military forces unprecedented command and control over battle grounds. Troops and command centers are now in a state of continuous situational awareness, with an endless stream of data being added to military servers at all time. The applications of GPS in modern warfare are as varied as they are expansive in terms of positioning navigation timing. GPS is used to navigate hostile areas of engagement, explore unknown regions of foreign countries, design maps for future reference, track personnel, synchronize networks, locate vehicles that belong to the military as well as hostiles, and for search and rescue operations. In fact, from initially being hesitant to adopt GPS systems for its operations, the military has now come to the point where some people question whether it has not become too reliant on it, leaving soldiers exposed and vulnerable in the event of data or satellite failure, or external attacks from hackers. 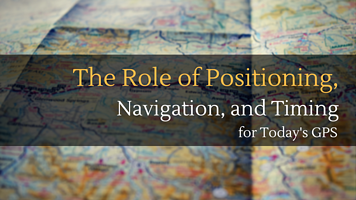 These concerns have caused the military to begin investigating other means of positioning, navigation, and timing resources, also known as PNT. In some cases, PNT is used to replace GPS, while in other cases it is used to complement the system. The truth is, GPS alone is not enough to cater to the needs of the military. Sensitive information transferred through GPS is vulnerable to attack. Power failure is an ever-present threat, and the competition for resources with other civilian outfits leaves the military in danger of being unable to fulfill all its needs. The military is now exploring the full extent of positioning, navigation, timing resources to form an assessment of its capabilities to meet their needs. The aim is not to replace GPS, which remains a uniquely powerful tool of defense, but to complement and augment its various assets in a manner that best suits the military's needs. Let's talk about what GPS does for the military. While earlier, the military found itself in a permanently reactive state against possible threats, today the response speed is nearly instantaneous thanks to GPS, evolving the military's role to one which involves much more direct action. 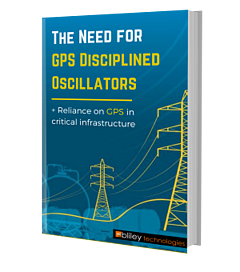 Operational execution speed is one area in which GPS has had the most profound impact. The ability to have a bird's eye view of the operation while it is actually taking place is a possibility that was viewed as impossible a few decades ago. While earlier, such operations relied on radio contact, current GPS models are able to provide a far more comprehensive and deep reaching assessment of the area of engagement, including enemy threats. With the incorporation of positioning, navigation, and timing strategies to ordinary GPS, the military is able to fashion a system of surveillance and monitoring far beyond anything that has been seen before. The Global Positioning System-of-Systems comprises all the latest cutting edge technology found in the world to provide absolute and relative positioning, navigation, and timing resources to the military. Ground Based Augmentation Systems are terrestrial PNT sources that are used to provide localized service enhancements that can be limited to one geographical location or proliferated over broad areas of access. Ground Based Positioning, Navigation, and Timing Systems are independent, ground-based entities that provide PNT services in a particular region, which are quite distinct from GNSS based services. These include technological components that provide positioning, navigation, and timing services through separate mechanisms, either on their own or in confluence with other systems. One example of these types of systems is that of atomic clocks. Atomic clocks are typically large, power hungry devices. However, there has been major advancements in the field known as chip scale atomic clocks or CSACs. To learn more about timing applications using CSACs check out this post!